[quote=Killa4Hire;39463727]idk if it is old or new..
but i found it just a few min ago..
this make the fail list? along with the torque yes. we need a hopper list and a clothing list. 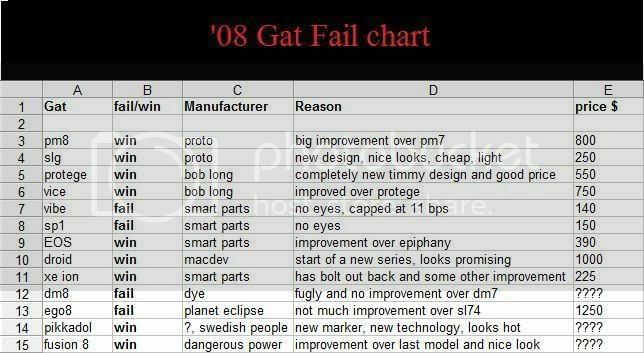 someone, go now, we will put up a complete 08 profuct fail list thread. It's supposed to feed 30bps(If I remember right), and comes in 300, and 400 ball capacity. I think it's supposed to act as a counterweight, and extra balls. read teh quotes. adjusable from intervols in the rang 230 to 400.
omg the alien and pinokio are brothers! you can use excel. congrats.